Two main advances in electric bike technology over the past few years have no doubt helped. Firstly the advent of more powerful motors like the Bosch Performance Line CX that is featured on many e-mtbs along with e-mtb specific motors from Shimano (E-8000), Yamaha (PW-SE tuned for e-mtbs) and Brose (Drive S). Secondly battery capacity has crept up so that 500Wh batteries are now increasingly standard where once 400Wh was much the commonest size. 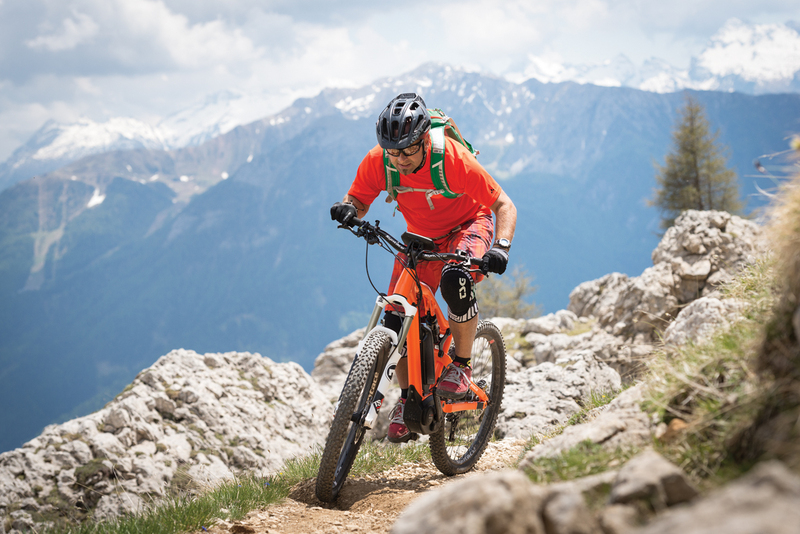 Clearly the rougher and steeper the terrain you tackle on an e-mtb the more motor power and battery range is required. E-mtbs are based on their non-powered cousins when it comes to their various ‘sub-species’ but before you get hung up on the detail just remember e-MTBs can be ridden just about anywhere; with the addition of a motor the extra resistance from wider and knobblier matters less than it does on non-powered versions (though an equivalent size battery will probably give less range than if it was on a city e-bike for example). So even though e-mtbs are clearly meant for tackling all kinds of off-road riding, from canal towpaths to rocky hill climbs, they can be equally at home in cities especially if you need the large tyres and suspension to soak up potholes and kerb drop-offs. 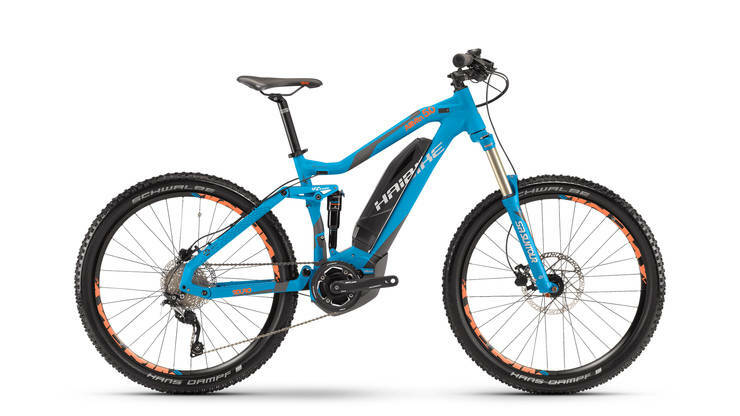 As they are meant for the steepest of off-road climbs just about all e-mtbs feature mid-drive motors (powering through the chain and gears rather than hub motors that power through the wheel) as the mid-drive design tends to be the best for hill climbing whilst also enabling speed to be maintained on flatter sections. – Cross Country or XC; less suspension travel than other models so better and faster over smoother trails. 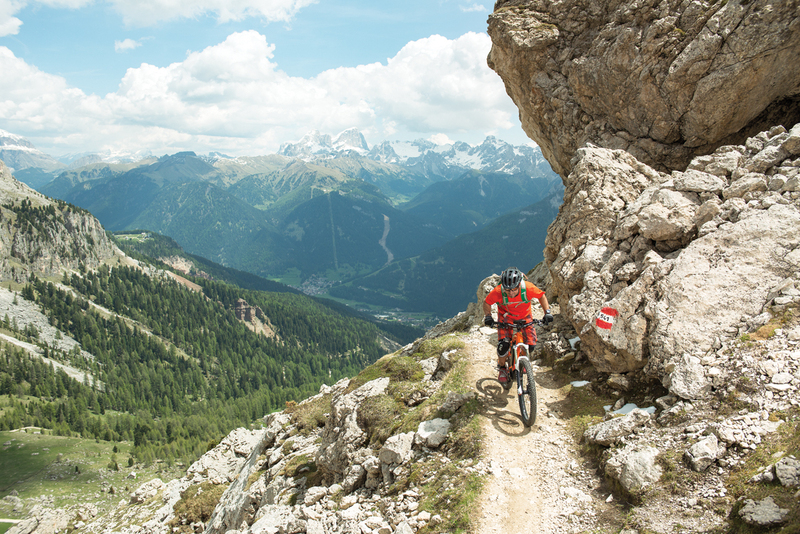 – Enduro and Downhill; really this refers to different types of competitive racing that involve mainly descending steep terrain and in both cases full-suspension bikes are in order. Bikes with Enduro geometry are said to be easier for climbing. Haibike in particular have cottoned onto e-mtb riders different needs and for 2018 e-mtbs on wards the two ‘families’ of Xduro and Sduro will be differentiated by riding characteristics (previously Xduro were Bosch-powered and Sduro Yamaha-powered). -Fat bikes (and now e-fat bikes) are for really loose or slippy surfaces – think sand, snow or inches of mud and are the ultimate go anywhere e-bike. Prices rise as battery capacity, motor power and quality of components increase. 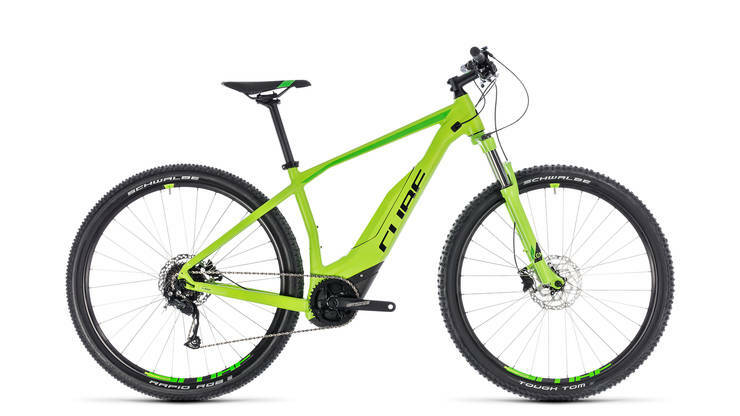 If you are more of a towpath and easy going trail rider something with a less powerful motor in will be fine (less power in this context still means plenty of power for most situations…), with Cube’s Acid Hybrid ONE 400 near the head of any list of this category of bikes. Just over the £2000 mark opens up full suspension options such as this Haibike SDURO AllMtn 5.0. 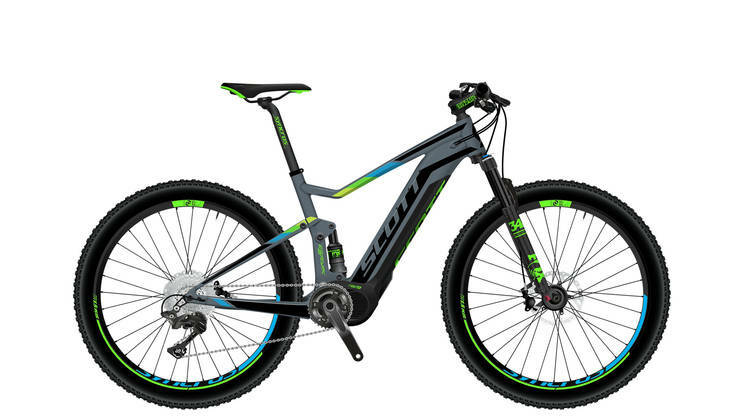 The £3000 mark will start to get you a full-sus e-mtb with more ‘bells & whistles’ like the double suspension lockout on this Scott E-SPark 720 Plus. In the UK you can usually take an electric mountain bike anywhere a regular bike can go. There are many designations of off-road track so it’s helpful to know a bit about each if you want to get the most out of your e-mtb by planning the most interesting routes. – Footpaths. Bikes and e-bikes not allowed. The above designations apply in England and Wales. In Northern Ireland the situation is similar and summed up nicely here (though note currently e-bike legality in Northern Ireland in general is subject to some controversy but hopefully this will change in the near future). In Scotland there is a code for open access for bikes (and thus e-mtbs). The whole code can be found here but in general cyclists have a presumption of access unless the area is exempted from open access under the code (eg land with houses on, crops being grown, sports fields etc). Of course having a legal right of way doesn’t mean it is easy or even possible at all to get access on an e-bike so most local authorities have a network of ‘core paths’ for cyclists which you should enquire about for your area. There numerous signed, graded trails, largely concentrated in Wales and Scotland. For more suggestions outside of the official trail centres see this MBR article . There are suggestions for south-east England rides here and in the south-west here. If you want signed off-road routes you could mull over the possibilities offered by National Trails (note not all National Trails are open to cycles).